Welcome to The Gluten Free Lifesaver! To some it’s a choice, others don’t have that luxury. No matter your reasons, going gluten-free can be a challenge. Almost three years ago I decided to kick my wheaten demons to the curb once and for all, and to take charge of my own way forward. Now I want to put my experience to work, and help give you the confidence to embrace life without gluten! 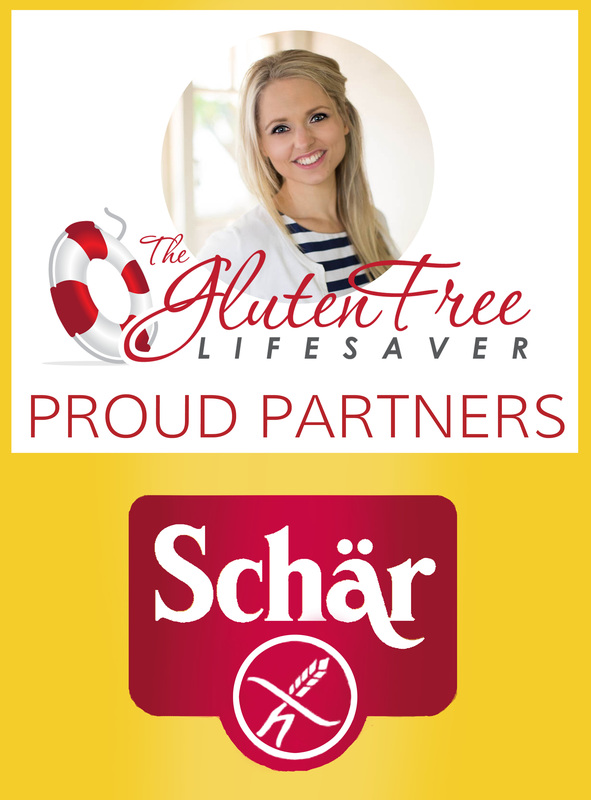 My mission is to provide a trusted and inspiring resource that connects people with the information, products, guidance and community they need to live confidently without gluten. The Gluten Free Lifesaver is a toolbox, a network, an ally, a bible, a friend, a source of entertainment, and a lifesaver. I built it so that you can have a home in this world, where absolutely everything is safe and made for you to enjoy! I am one diagnosed coeliac, which means that in my statistical wake there are over a hundred like me who still don’t know, still aren’t well and are still looking for answers. In Norway where I’m from, the average time between symptom onset and diagnosis is about 6 months. In the USA it can be up to 11 years. I was very ill for about 9 consecutive months. Before those terrible months I had a variety of health issues from the age of 21. There are 19 main misdiagnosis commonly given to coeliacs before they find the truth. I had been diagnosed with 15 of them. I don’t want to spend too much time highlighting the torment I went through, for the simple fact that I want to move on. But I do know that a great many fresh coeliacs and gluten intolerants out there want and need to hear that their symptoms and their struggle isn’t unique. I was desperate to find someone who had felt what I felt, someone who understood, and most of all someone who had gotten through it. How can I be sure that there’s a way out if nobody has done it before me? Coeliac disease changed me forever! I was very, very ill for a very long time. So ill at times that I wondered if I could actually keep going. My life was so altered that I had lost everything I liked about it. I had lost myself, my personality and my pleasures. I was no good to anyone, just a big fat problem they couldn’t get rid of. That’s how I felt. And the pain was so severe and so constant that I developed anxiety on a multitude of levels. The suffering was so real to me, yet so vague to everyone around me. I didn’t have a diagnosis, there were no definite patterns, no answers and so I must be going insane. The varieties of advice I was given from people who meant well ranged from “eat concrete and toughen up” to “surgery is the only way forward”. My physician wanted to give me antidepressants because they “sometimes fix stomach problems”, and the specialists I saw put me through no less than 7 antibiotic treatments in the course of 3 months. I was broken, there was nothing left of me. It also took me a very long time to improve as soon as I got the diagnosis, and because I was the only coeliac I knew I kept questioning my diagnosis and the methods. I had no one to turn to, no experts, no black-and-white’s. I am a lot better now, but my body is still healing. Sometimes I must remind myself that it hasn’t really been that long, and look how far I’ve come. I have ups and downs. Sometimes symptoms seem to come out of the blue, and quite often at the most inconvenient times. I wonder if the pain imprinted a pattern in my memory, and my body follows its old course and gets me into trouble. Or it could just be gluten. I am of the extremely sensitive kind. No gluten comes through the door in our house. My husband walks this road with me and eats gluten-free. I have a fantastic husband who stuck with me through the grand decline, and now through my up-hill battle back to being the woman he met. I started getting really ill just 5 months into our relationship. For a year he stayed in with me, mashed me potatoes, drew me hot baths, took me to emergency rooms on work nights, slept in hospital furniture next to my bed and let me squeeze his hand with all the strength I had left. I sometimes didn’t think I had the strength to c ontinue the relationship, and I felt strongly that he deserved better. All the while he decided this mess of a girl would make the perfect wife. I love him. My parents took great care of me. I couldn’t work in the end, and moved back in with my mum and dad for a couple of months to be cared for. I couldn’t function on my own, and I was scared of being alone. I didn’t know if the pain was gonna kill me. My mum made sure I ate, and she moved into another room so I didn’t have to sleep alone. It was my sister in the end who came up with the idea that I should be tested for food intolerances, and it was a lady called Tina Hamelten, a nutritionist from Yorktest Nordic, who stepped up and offered a complete stranger a free test. From there on the pieces came together, and I was slowly but surely freed from my cage. I am sure my story is the same as yours in some way or another. Tell me about it if you want, I would have told you back then if I had been given the chance. When I got the diagnosis my then fiancée said excitedly “this is your path, you will do great things with this!” I was too tired to consider it then, but it makes sense now. I have to find a purpose in this chaos. I have to own it or it owns me. This blog is the start of a path that will unfold as I walk it. My vision is to hold out a hand for you to grab, and to take a few steps along side you so that you are better equipped than what I was. At the same time I want to make the world a slightly safer and easier place for us GF’s to roam about. By providing the right information to those who impact our lives, and by making it a wee bit easier for GF’s to find what they’re looking for. A big statement I know, but a lot can come from a little I reckon. This is just a start, but I am going to put my back into it. I understand the misery of undiagnosed celiac disease and the final refief in just knowing what is wrong with you. I was finally diagnosed in 1988 after 8 years of doctors, hospitals, tests and confusion. In those early days almost no commercially made gluten-free items were available and it was a struggle to keep a gluten free diet. Rice cakes were the only thing available and they were not too tasty. Fortunately for us, things have improved and we can now have an array of wonderful baked goods made with a variety of gluten free flours. Thanks for creating this blog and providing information to the newly diagnosed and to those of us who have been struggling for yeaars to stay healthy. Your ideas and sincere desire to help us is very much appreciated. It is true that we have come a long way, and thankfully I didn’t have to live gluten free 20 years ago. I can only imagine what you must have gone through, as it is such a challenge even today! There’s still a long long way to go, and by sharing experiences, requesting products and information, getting involved and by raising awareness we can do our bit to push development in the right direction. Kristine, your story is so intense! I’m not sure how I missed seeing this page before, or if I did I must have been interrupted (kids!) before finishing it. Keep writing and inspiring with your wonderful blog. Thank you for taking the time to read it Dana.. Your site is wonderful. I have Dermititis Herpetiformis, took me over a year to find out. Not to many people around me have ever heard of it or Celiacs, so it is hard for them to understand. It’s a long hard road but one we must travel. Thank you for stopping by! Awareness is indeed our biggest challenge, as more information in circulation would ease our struggles tremendously. This is true of the medical profession as well as our communities. Living with a gluten related disorder is certainly a challenge, one that more and more people are faced with. On the bright side however, we get to heal with food. What could possibly be better than medicating yourself with a risotto or a chocolate brownie?! All the best on your journey Brenda, hope to hear from you again! Great story Kristine, and you’re providing a great resource! If you need more assistance with NZ cafes, food products and so on, please do head over to my bog, glutenfreenz.wordpress.com. Thank you, and I will visit your blog! Thank you so much for sharing all of your wonderful Failsafe variations on delicious, nutritious and varied recipes. Even better for me: with my Swedish heritage you are bringing joy back to some of my favourite Scandinavian delights and going me hope that I can adapt more of farmors favourites! After suffering from birth into my early 30s from severe digestive and respiratory tract distress and skin rashes, nothing fit the pigeonhole that medical testing could provide. Last year my Health hit such a low & whilst everyone was convinced it was the severe work stress I had been under for 24 months, I knew it was something else. Diagnosis with Gilbert-Meulengracht Syndrome was the trigger for me to investigate the impact my food was having on me: by all standards I had always followed a “healthy” predominantly plant based diet with 5 fruit and 5 veg serves a day with hearty home made stews in winter : it instead left me constantly ill and it turned out that salicylates and amines were the “root of my evil”. I’m still learning to live with this, and looking for practical tips to vary my food repertoire! Tusen hjärtlig tack!!! Ps where do you get safe vanilla extract from? I know that the processing can elevate salicylate levels so I have been too scared to risk a reaction in using it! It’s incredible what impact the right or wrong food can have on our health. And it’s even more incredible how few physicians have embraced this. Long times with wrong or no diagnosis is far too common, and happened to me too. I’m happy that you are finding your way through it now, and I’m please that my recipes can offer you some inspiration! I buy organic natural vanilla extract, or use vanilla straight from the pods. Just bear in mind that you shouldn’t use much vanilla if you are very sensitive. Some people can handle more, others less. You should try small amounts at first, then find your tolerance level. Talk to your nutritionist if you have concerns! Thank you for visiting! I know many people find the paleo diet helpful for a number of food related issues, I’m glad you’ve found something that works for you! 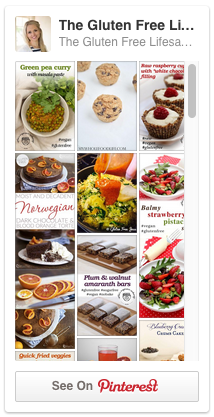 I stumbled on our site while searching for a carob recipe. Gee whiz. I forgot all about the carob. I was moved to tears by your story. Sniff, sniff. I am so happy for you that you are on the road to recovery, with such loving people around you who really, really care. God has blessed you in your struggle. Never give up, Dear! Hope to “see” you here again! From one very sensitive soul to another. I am relieved to find your blog. I started crying when I read your story because it sounds so similar to mine. I am now down to 43 kg and have been unable to work for almost a year because of debilitating symptoms. I also was not feeling well for awhle though before becoming really unwell. Similar to you, I had five courses of antibiotics in three months. However, I also had a parasite and found this out myself when I did my own research online and asked to get proper testing. Since then, my food sensitivities are worse. I have not put on any weight. I also have ups and downs. Sometimes I feel like my symptoms are triggered by bad memories of when I was sick in certain places, so I know what you mean about how the trauma you have been through leaves a psychological imprint. I feel like I have PTSD as a result of getting nowhere with doctors and specialists. In the past, I was also scared to be alone when I was really very sick because you just don’t know if your body is going to have some freak out attack and pass out or perhaps worse. I have had symptoms ranging from anxiety, dizziness, fatigue, numbness and tingling in lips and arm and hands, a few near seizure like episodes, severe and persistent nausea, shaking, sweating. Did you have any of those symptoms? I am not sure if I am gluten intolerant but I avoid eaten gluten. Do you have any other sensitivities, as quite often that is the case? I also can’t stand strong chemical smells or food smells. My diet is very simple. Some days I can only stomach one meal. I also understand it can feel like a very lonely time as others can be vague to your pain and suffering. They really don’t have any idea of what it feels like unless it was happening to them. One good thing that has come out of my illness is that I don’t get stressed about the small stuff anymore…so many things seem so completely insignificant to me now. I can’t tune in to others when they are complaining about really minor things or first-world type problems…I just think…that is the least of your worries. I have so much gratitude for everything in my life. The fact that I have clean water, food, relatively good housing. I just love being in nature and one of my favourite time out activities when I feel so sick is to lay on the grass or go to a nice garden and just be. That feels like heaven to me! Look forward to making my blog and getting back in touch with you. Also, look forward to reading more of your blog. Thank you so much for sharing your story! For the same reason I share mine, yours is valuable. Others who are going through similar situations will be able to find some comfort in knowing that their struggle isn’t unique. I sure did! I am very sorry to hear that you are still in the middle of this, and although I naturally can’t contribute with specific answers, I do urge you strongly to request testing for autoimmune disease and coeliac. Although it is tempting to try almost “anything” when you’re suffering, please do NOT stop eating gluten without first having gone through the right testing. If you do have coeliac disease, cutting out gluten can make it almost impossible to perform an accurate diagnosis. Even though it hurts, you really need to keep eating gluten util you either have a firm diagnosis, or you have firmly established that you do NOT have coeliac disease. I’m sorry, I really do know how terrible that prospect may seem. But take it from someone who had to wait 9 years for a second biopsy after “self-diagnosing” and cutting out gluten before the first one. You might say it’s “short term pain for long term gain”. There are a number of possible causes for your complex medical history, and you cannot exclude food as a source or contributor to these problems. 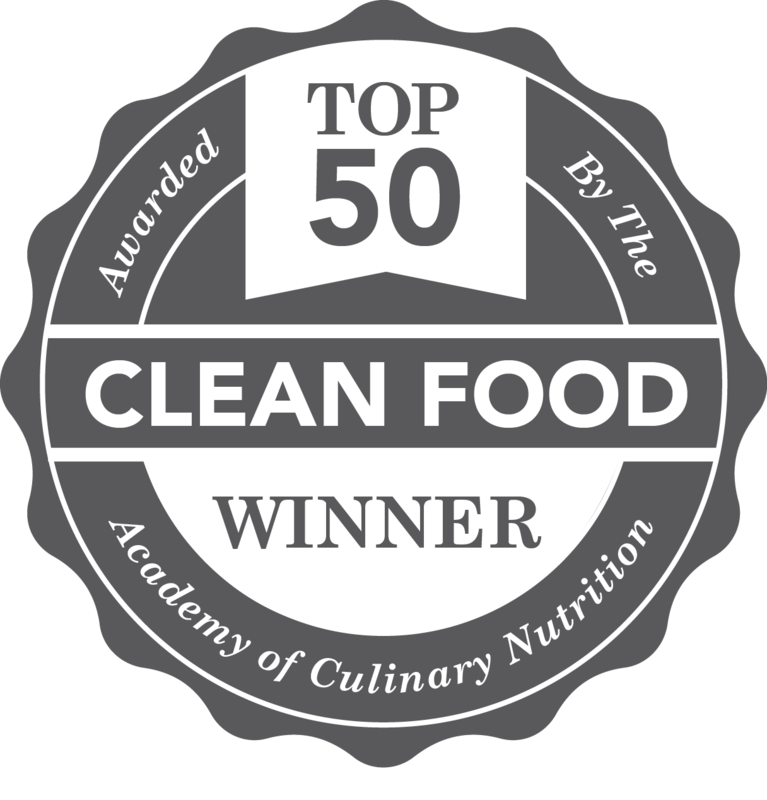 Once you’ve had testing for coeliac disease, perhaps you might also consider getting tested for chemical food intolerances through a professionally monitored elimination diet. It helped me. Until you get to a doctor and receive proper help, I would advise you to make sure you drink enough water or caffeine-free herbal tea, and eat soluble fiber foods that are nutrient rich but easy on the stomach (like potatoes, oats, bananas). Steam or cook your vegetables, as raw veggies can be really hard to digest, and stay away from dairy, alcohol, fatty foods, and additives. I know this sounds like “something everyone should do”, but trust me, if your gut is hurting this can go a long way! Personally I found that nibbling on plain rice cakes between meals really helped. A dietitian will be able to give you very good advice once you’re diagnosed. He/she might recommend some enzymes that will help you digest food easier, as well as putting together a plan for adding vitamins and minerals to your diet, which you may or may not at this point be lacking. I do not recommend adding anything to your diet on your own accord at this point. Get diagnosed first, so that you aren’t doing more harm than good. I had to push and push for answers, and I eventually got most of them. But if I hadn’t trusted myself above all else, I would have listened to the first doctor (or the second, or the third..), and I would probably still be sick. It is very positive that you educate yourself and ask questions to medical staff. It is equally important that you know what information to provide them with. I strongly recommend keeping a food and pain diary (ugly symptoms and all), so that you can show consistency and remove any doubts. Collect all your documentation, bring it along with your to every doctor, and keep at it until one doctor finally says; “I believe you. Let’s get to the bottom of this!”. There are many fantastic doctors out there, you just have to find the right one for you! I hope you will keep visiting the blog, and I would LOVE to hear about your progress! I’m so happy to hear that you’ve found medical professionals that take your symptoms seriously! And I’m very glad to learn that you are able to meet your challenges with a positive attitude! It is very inspiring to others that you share, and that you are showing a way to cope with your food related illnesses with a fighting spirit and a smile!! I hope you found something useful! I just found and subscribed to your site. I’m so glad I did. Thank you for sharing your story. Where I live it feels as if I’m the only one with Celiac. I don’t enjoy eating out anymore because even though I express my need for no breading whatsoever on my plate at times I still get served with a helping of some type of gluten monster. I send it back and don’t order anything else because my family is already eating so I enjoy a tall glass of water. 😕I enjoy cooking and baking and am always looking for GF and Paleo recipes. I too am highly sensitive to gluten. “Off the charts” I was told by a doctor. Thanks for posting the cheat sheet for making our own gluten free flours. You’re right, it did seem intimidating to make my own, especially after reading a book I recently ordered and the author almost made it seem as if we needed a chemistry degree. Best of luck and much success to you. Dear Maria, thank you so much for sharing your own story, and for your lovely words! I can absolutely relate to your “tall glass of water” order. In the beginning I sometimes found myself holding back the tears from sheer hunger and disappointment, time and time again. It’s a terrible feeling to be hungry and see everyone around you enjoy their meals, only to be left starving beside them, perhaps even feeling embarrassed and singled out from the “fuss” we make ordering. I remember feeling as though I was all alone in the world with coeliac, and my friends and family couldn’t possibly understand what I was going through. You want them to eat and enjoy, but at the same time you’d like for them to sympathise. It’s a strange and confusing mix of emotions, exacerbated by hunger, that I wouldn’t wish upon anyone. Like forced dieting. It does get better though. As I learned to maneuver my way through the many curveballs of gluten-free living, not only did the practical and logistical elements get easier to prepare for, but I also found that I got used to it all. The emotional rollercoaster wore off, and although I still sometimes have to drink that glass of water, I have learnt to curb my emotions to it, find alternatives, and not least to firmly stand my ground against unhelpful or ignorant restaurant staff, or well-meaning but oblivious relatives. I hope you can find some help and tempting recipes on the blog, and I’m so happy to have you as a reader! Well said, Kristine! You can add psychic to your list of talents 😀. I am so glad to find your blog. I think I will be making many of your recipes in the future. I have been tested for Celiac (biopsy and genetic test) and do not have it but gluten definitely causes inflammation in me so I avoid it. And it did make a huge difference in my health. Now though I am recently diagnosed with reflux (chronic cough) and I have been having bladder issues too. I read in your lasagne recipe you have both and think they are connected. Did you ever link a cause? I am getting so depressed and frustrated. I am on a very strict low acid induction diet and there is very little I can eat right now. The cough is improving but the bladder stuff is not. Thanks for all you do to help others. Finding your blog was a ray of sunshine for me today.